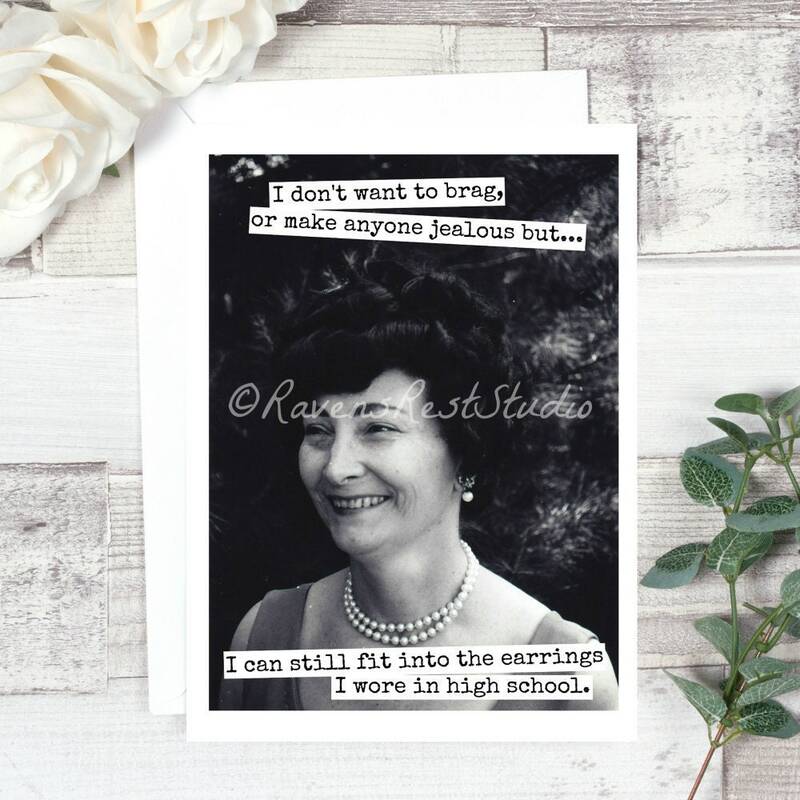 This card features a vintage woman and reads: "I don't want to brag, or make anyone jealous but... 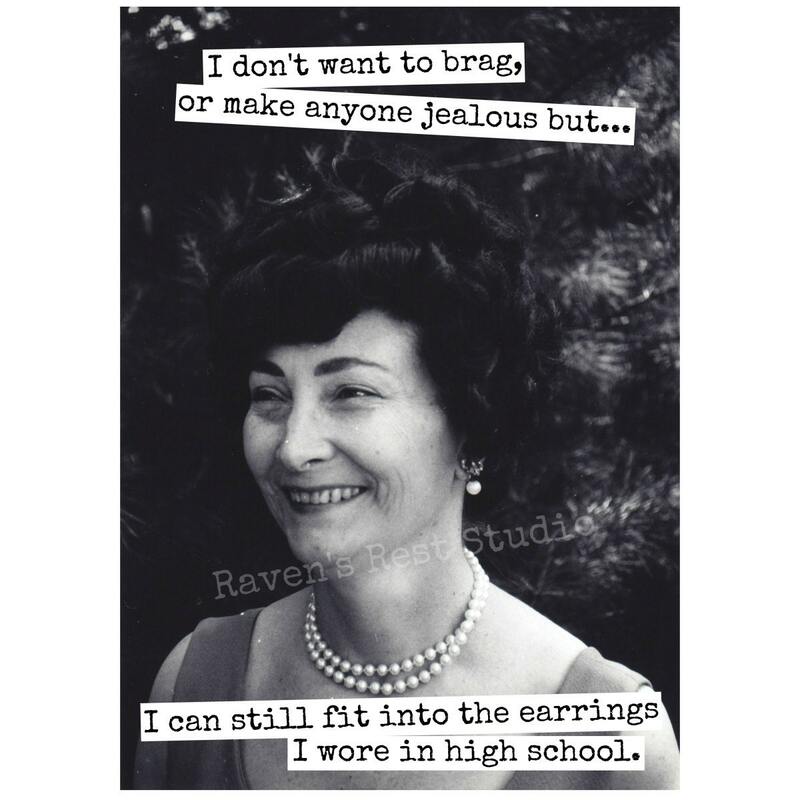 I can still fit into the earrings I wore in high school. ".